The fourth season of the CBS hit TV hit Elementary is running along nicely. 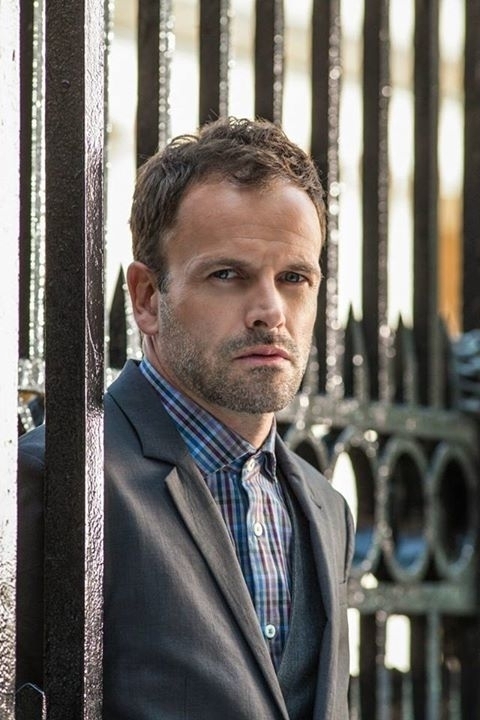 The show featuring Jonny Lee Miller as Sherlock Holmes and Lucy Liu as Joan Watson had a bit of dip during its third season. There are only so many ways Sherlock can solve a crime before the audience tires. 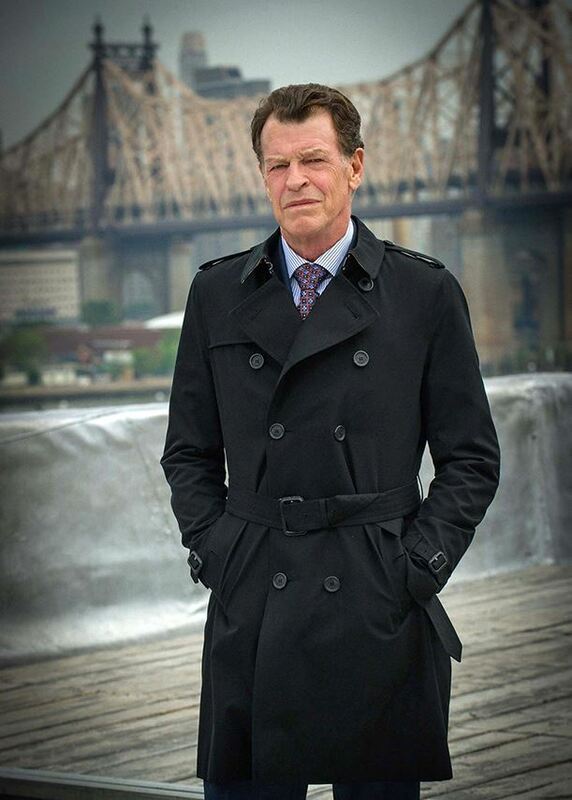 At this moment I am hopeful for season 4, the inclusion of John Noble as Sherlock’s father Morland has the potential of giving the story a new dynamic and return to elements not visited since season 1. However, if there has been one gripe I have with the show it is the choice of wardrobe for the main characters, Joan and Sherlock. It is not the clothes themselves that are ugly or anything. The wardrobe department led by Rebecca Hofherr has done a wonderful job. Its just that I don’t think it is always appropriate. During season 1 the wardrobe seemed quite hip, but now it feels more like a deliberate distraction, a carnival show almost. The third episode of this season, Tag Me If You Can, was the most distracting of all. It featured Lucy Liu wearing a black miniskirt by BCBGMAXAZRIA (not a typo!). That, together with the white blouse not only seemed a bit too chilly, even for the summer, it certainly didn’t seem appropriate to wear to a crime scene. This instance, and a few others like it made it feel as if the show has jumped the shark. Fans have also noticed the change in fashion of both Lucy Liu and Jonny Lee Miller since season 1. Lucy’s character would previously wear informal streatwear: miniskirts complemented with blouses, cardigans and pantyhose. Now it is more formal: again mini skirts, but with bow ties, formal jacket and bare legs. Sherlock’s clothes has also changed to more formal wear with casual suits and large coats. Sadly, the hideous haircut from season 3 remains. All this controversy with their wardrobe is understandable to a certain degree. Women on TV are obliged to look as beautiful and feminine and they can, the men can make do with looking handsome. Beauty sells, but to what extent do TV shows even represent the average person? 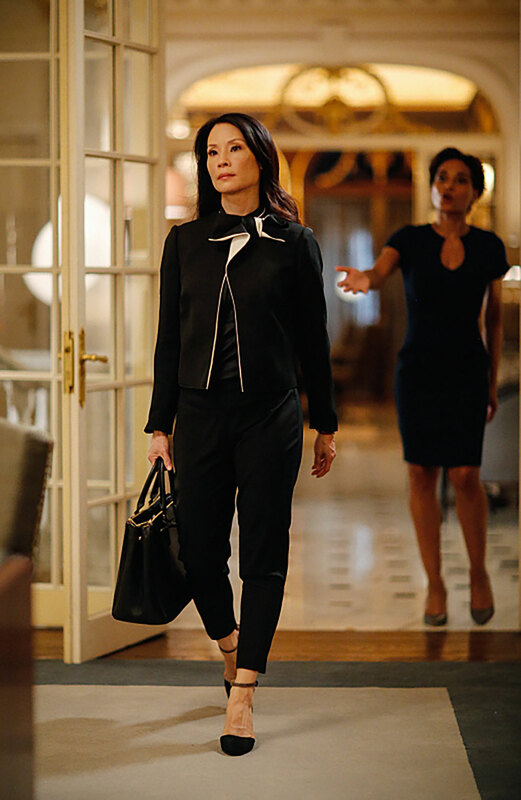 Lucy Liu practically wears a skirt on every episode of Elementary. Can de average woman wear a different skirt for every day of the week? I think TV characters should be a role models for viewers. I would love to dress the way Sherlock did in earlier episodes. I would like to have Grant Ward’s haircut. I would even want to have the red-shirt uniform Chris Pine wears in Star Trek Into Darkness. Can a female viewer say the same? I can’t imagine a woman wearing Joan’s black mini to any kind of formal function, or Zoe Saldana’s skirt uniform in Star Trek being an actual uniform in the far future. The added problem is cost. For a rather small garment Joan’s BCBGMAXAZRIA skirt costs 158 dollars. Sherlock’s signature black coat goes from anything between 170 dollars to 540 dollars depending mostly on just the brand name. One good thing I can say about Joan’s wardrobe is that it is not too restrictive. On other shows women are nearly always reduced to wearing tight pencil skirts and business dresses. Men are always reduced to wearing suits. Recent shows as Suits, Body of Proof and Scandal are good examples. Other shows such as Madam Secretary are better balanced. Yet I cannot help but think that Joan Watson wearing a miniskirt to a crime scene was an idea that went too far. I do not know to what regards actresses can choose their own wardrobe, but the outfit Lucy Liu wears are more suitable for a date or as casual wear at home. This commentary is also directed with a nod to the upcoming CBS Star Trek series by Alex Kurtzman scheduled for 2017. Trekkies still debate Voyager catsuit controversy surrounding Jeri Ryan’s Seven of Nine. For more information there are several blog detailing what is worn on Elementary. Most of it is about what Lucy Liu is wearing. On WornOnTV you get a nice break-down per episode, per character what was worn. The site also contains listing for shows now defunct such as Covert Affairs, Nikita and Mad Men. JoanWatson’sFashionShow is as the title may indicate dedicated to the fashion of Elementary and Lucy Liu specifically. A great resource if you want to find a specific garment she has worn. Alas no coverage of Sherlock or any of the other characters. ShopYourTV is similar to WornOnTV. Extensive coverage of many TV shows but with an emphasis on female characters. Though Morland’s black trench coat is covered. Besides these sites there are plenty of Tumbler and Pinterest pages to browse through. This was my brief article on fashion of Elementary and how I hope that people will always dress gorgeously but it shouldn’t detract from the plot of a TV show. 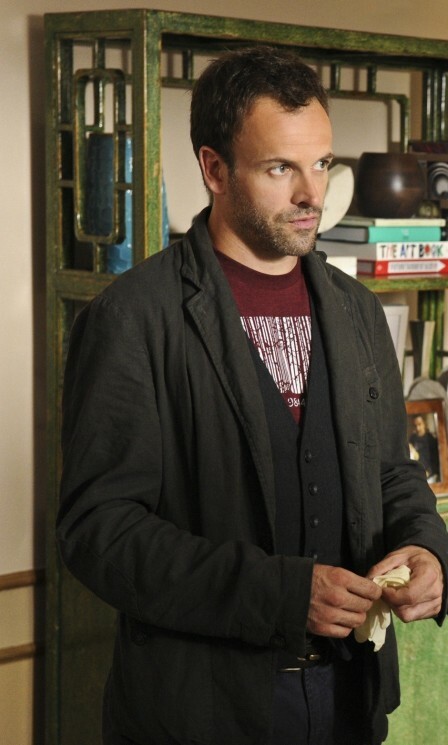 Tonight Elementary will be back for the episode ‘The Games Underfoot’ so expect a review tomorrow. Elementary Season 4 Preview and analysis of the full trailer! Next story Upcoming Sci-Fi shows in December. There is more than Star Wars! Previous story Agents of SHIELD mid-season finale Maveth review!